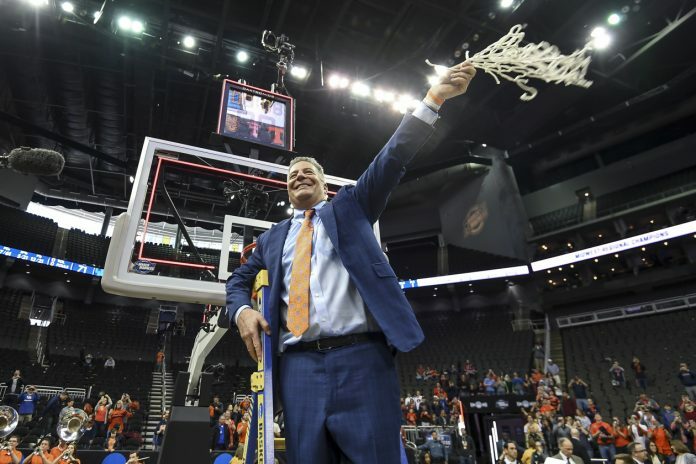 In its 77-71 win over 2-seed Kentucky on Saturday, Auburn advanced to its first-ever Final Four after defeating 1-seed North Carolina and 4-seed Kansas in the span of eight days. Jared Harper, who finished with a team-high 26 points, including 12 in overtime, said that the team will maintain its confidence heading to Minneapolis to play 1-seed Virginia. Harper combined with Bryce Brown’s 24 points to put Auburn just one game away from a national championship berth. To Brown, the team rallied around Okeke, who tore his ACL in the team’s win over UNC two days earlier. Once down by 11 in the first half, Bruce Pearl’s squad cut the deficit to just five going into halftime. Harper scored on a driving layup with 37 seconds remaining in the second half to tie the game at 60 apiece before overtime. After ultimately relying on a 3-pointer by Horace Spencer to end regulation, Pearl said that you could tell where Okeke was missing. Despite the miss by Spencer, however, Pearl’s squad is now in uncharted territory.